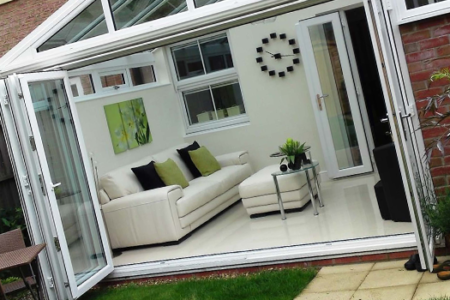 With a high pitch roof design, gable end conservatories specialise in bringing grandeur and class to any home. Our designs make it easy for you to enjoy a spacious and bright living area. Adding a gable conservatory to your home means you will gain a whole new room to use as you please, all that remains for you to do is decide how you will use it. Gable end conservatories will provide a lot of interior light so will make for a relaxing living space and could even be used as an art studio for the more creative among us. It is also the ideal style for an enjoyable kitchen space or breakfast room. The addition of a set of bi-folding doors will really open it up and create a free-flowing space that will be ideal for parties and social gatherings. The material you choose for your roof can really shape what your finished gable conservatory will be like, with several factors to consider. In general, glass panels will let in more light than polycarbonate and will also be less noisy when it is raining. Polycarbonate roofs will usually offer more protection from solar glare and are also a more economical option. 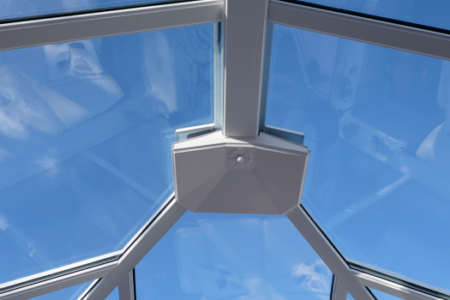 The glass we use in our conservatory roofs comes from Pilkington, one of the most technologically advanced and reputable suppliers in the UK. Liniar gable end conservatories are a great way to enhance a home. A gable conservatory is a traditional style that will provide a classic look and also give you a whole new living space. The gable end of the conservatory will let in lots of natural sunlight, so this is a good style option if you are looking for a particularly bright interior. 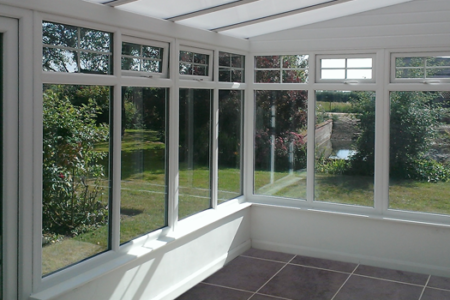 There are many uses that a gable conservatory is perfect for. Why not benefit from a bright working area by using it as a home office or alternatively give your children a fantastic new play room. The Liniar range of windows is at the very pinnacle of window engineering technology. Unlike many other window systems, the Liniar range was designed from the ground up in order to utilise every modern technological advancement available. Liniar’s unique multi-chambered profile keeps heat transfer to a minimum, meaning your home stays warmer for longer. You will also need to use less energy to heat your home, keeping your energy bills lower and at the same time, helping the environment. Our gable end conservatories keep the winter winds at bay with ease, featuring our high performance multi-chambered uPVC profile for A+ standards of thermal efficiency. Not sure a gable end conservatory is the one for you? Not to worry, have a look at the other styles Liniar offers. Sharing many characteristics with the Edwardian, gable end conservatories feature a traditional apex pitched roof combined with a striking front elevation, being fully glazed right up to the apex. Square or rectangular in style, like the Edwardian, gable end conservatories give the maximum amount of space to plan a delightful interior. 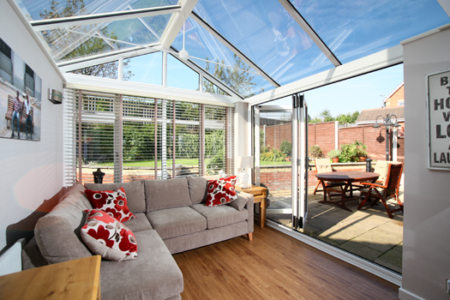 The height of the conservatory lends the room a feeling of space while the gable front adds style and maximises light. Often called the ‘sunburst effect’, the front of gable end conservatories gives the appearance of the rising of the sun, and the gable roof gives a grand and stunning impact, both inside and out. Ideal for capturing period, the gable style is reminiscent of the opulent orangeries and conservatories of a bygone age.